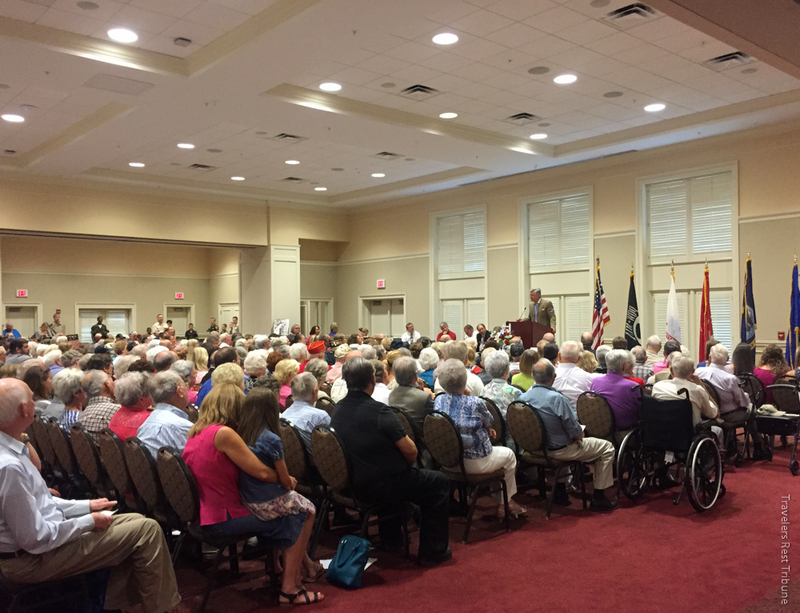 Since 2011, the Travelers Rest Historical Society has helped to celebrate the accomplishments of our "greatest generation" through the organization of the Upstate Spirit of '45 commemoration. 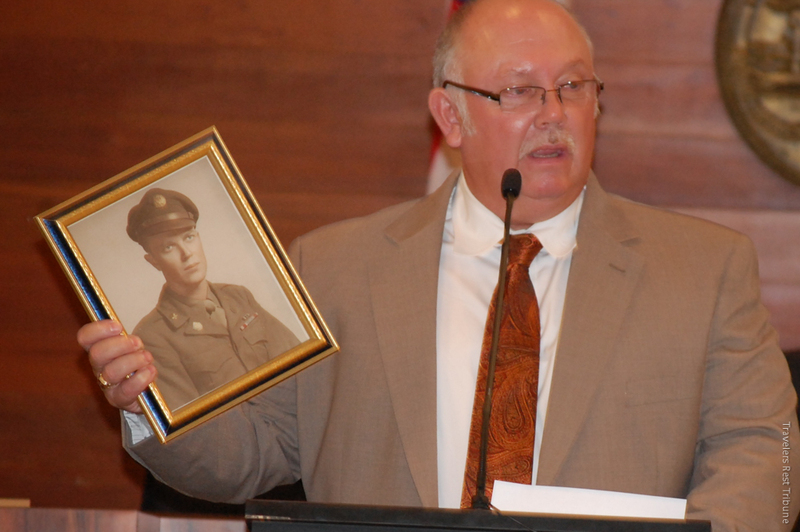 The annual event, which was the winner of the America Association for State and Local History’s 2013 Award of Merit and was named as the model Spirit of '45 celebration for the state of South Carolina, aims to honor not only veterans of WWII but the ordinary heroes who worked at home to aid the war effort as well. The celebration has grown to include an expansive vehicle and memorabilia display, a USO-style Swing Dance and Costume Contest, recorded interviews of area citizens who remember the ending of WWII, and more. 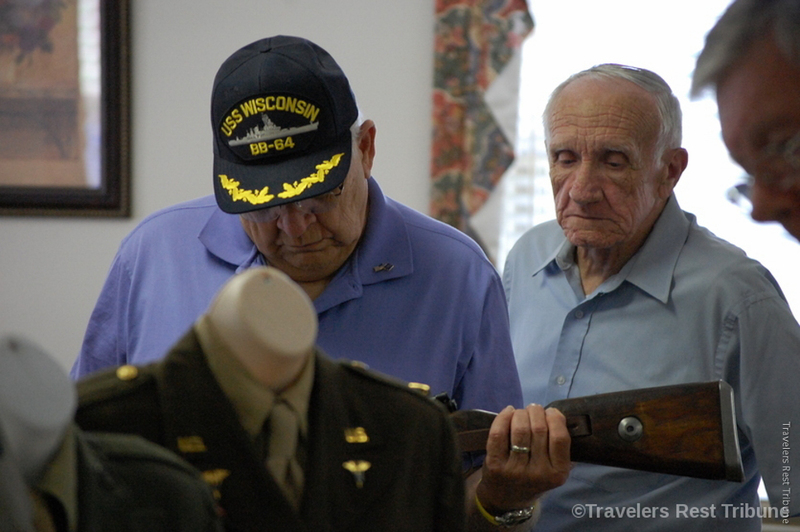 In 2014, more than 30 living WWII veterans were honored. For more information, find Spirit of '45 Upstate on Facebook here.